Cartoonist Stephen Lester is "currently on a mission to fill his home with vintage video games and video game memorabilia". 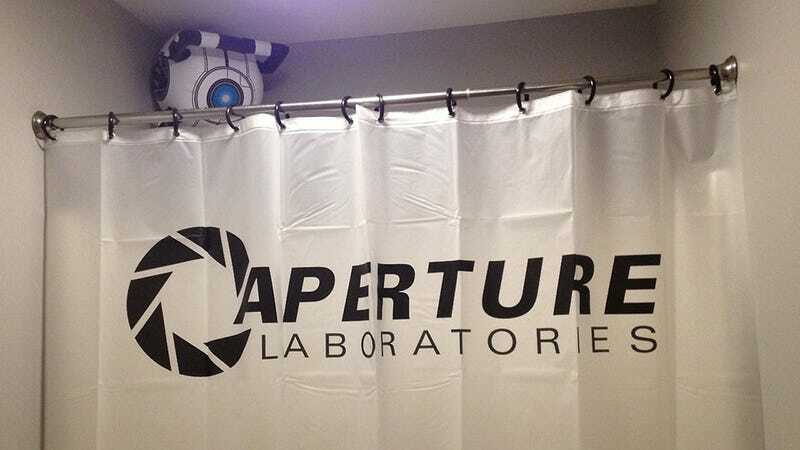 Part of that involves his guest bathroom, which is becoming a themed shrine to Valve's Portal series. Colour-coded and filled with merch, it's... certainly... something. Especially since I'm pretty sure that's a talking Cave Johnson portrait. Which, I don't know, could cause some people problems.